Our past appears to be a long list of events detailing the lives and discoveries of many adventurers. Alexander the Great, the Macedonian king for example, whose territories eventually stretched from Gibraltar to the Punjab. An empire not equalled in size until the British created theirs, two millennia later – one on which the sun never set. The Englishman, Sir Francis Drake, who helped defeat the Spanish Armada, was the first European to circumnavigate the world. His landing on the Pacific coast of North America is documented yet no definitive site has yet been identified. Marco Polo, the Venetian trader and explorer, who, with his father and uncle, journeyed from the Mediterranean through Central Asia to China. The loss of original manuscripts and numerous translations has seen his amazing adventures in the Orient laced with centuries of elaboration and scepticism. His journey traversed the Silk Road, which on investigation we find is actually an ancient network of trading routes and not a single highway. It is worth remembering that between Rome and Changan, at the network’s extremities, and aware of each other’s existence, lay the Parthian and Kushan Empires; both were loosely knit groups of warlords who occupied a middle position, and in direct contact with the other two. Their merchants acted as middlemen for overland trade. As the might of the Roman Empire pushed eastward in the wake of Alexander the Great, their eventual progress was halted by the Parthian Empire. Surviving historical accounts name only the headline makers, those whose exploits match the design of the ruling class. Dismissed, with little or no regard, are the ordinary lives of all with whom they came into contact. This record weaves the facts of history as experienced by one such group of anonymous people. It should therefore come as no surprise that more than one thousand years before Marco Polo’s travels, a young Aeduan boy, Darquin, was forced by circumstance to join a Roman cavalry unit under the command of Publius Crassus. 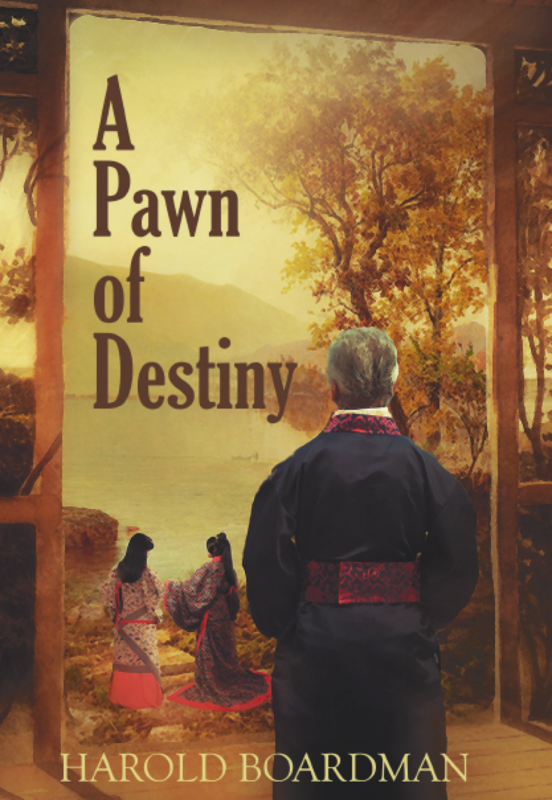 Here is the story of his journey and how he survives the politics and intrigues of war, and with little hope of repatriation, eventually settles within the Han Empire.